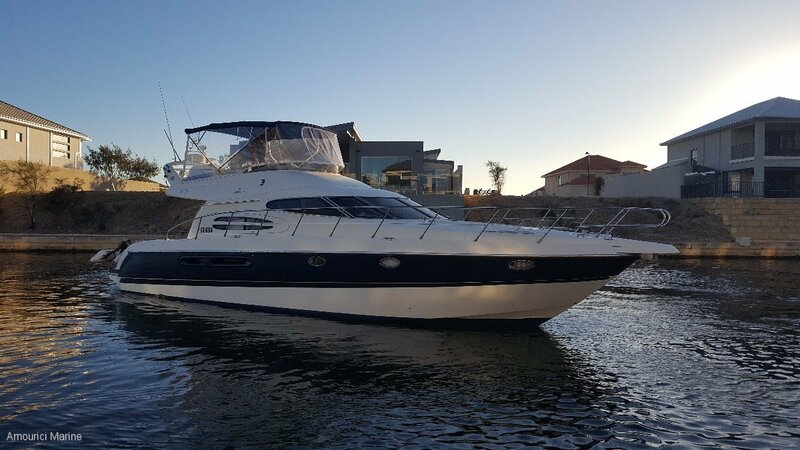 Atlantique 48 built in Italy and was one of the largest models in 2004 of the CRANCHI Flybridge range and, via the restyling and technical improvements applied over the years, it offered the most cutting edge solutions on the market. The space on board is extended thanks to their design skills: a good 3 separate bedrooms and two bathrooms, an elegant saloon and a large galley. The furnishings represent the triumph of modern design and ergonomics. What strikes you from the start is the wealth of the fittings which, together with the high quality of the materials used, is the real consideration of this luxurious model. Thought-out on a large scale, to face even long range cruises, Atlantique 48 is also equipped with a fridge-freezer and endless storage space. The powerful, proven Volvo Penta 2 x TAMD75P-A (2x480 HP) with under water exhaust, represents new frontiers in terms of performance. The Flybridge area offers all the attractions for those who love the outdoor life and is equipped with a large semicircular sun deck; the pilot area consists of a practical 2-place steering seat and a comfortable sofa to the side. Everything on board is about a completely new concept of travelling. An Awesome Galley with a Custom Dish Storage Area and lots of Cabinet Storage. She has 3 Beautiful State Rooms with 2 Heads with Full Floor to Ceiling Spin Around Shower Enclosures. The Master Forward has its own En Suite Head and Shower. The Other Guest Cabins Have a Common Head and Full Spin Around Shower as well. The Double State Room has a Private Access to the Common Head. All rooms are air cond and have there own stereo system.